Although unmentioned, an implication of the study is that the supposed "Russian influence" on the US election through the Internet and social media was minor at most. The country has been highly polarized for decades. Moreover, HRC won the popular vote but lost in the electoral college, a uniquely American phenomenon. Her loss is easily account for by her failure to campaign sufficiently in states that she assumed were safe. That outside interference flipped those states is implausible on the evidence. If there was an influence based on the Internet and social media, it is more plausible that it came from Big Data provided to the campaigns for strategic use by firms such as Cambridge Analytica. In recent weeks, investigators looking at how people acting on behalf of Russia targeted American voters have focused on Trump’s data operation. But although the FBI obtained a court order against Facebook to make it disclose evidence, the exact way in which US citizens were profiled and targeted remains largely unknown. But, he argues, “it’s not just a US company and it’s not just a civilian company”. Instead, he says, it has ties with the military through SCL – “and it doesn’t just do voter targeting”. Carroll has provided information to the Senate intelligence committee and believes that the disclosures mandated by a British court could provide evidence helpful to investigators. It isn't just "Russia" that is involved in the attempt to "manipulate democracy." There is a saying in the media world, "If it is free, you are the product." News headlines, articles and videos like these highlight the fear and concern which many in our society have over the rising power of the surveillance state. Moore’s Law and the continuing exponential advancement of computing and telecommunications capabilities are (arguably) inexorably drawing us as a culture closer to the singularity. While transformative and unprecedented global digital sharing is empowered by these technological changes, the rise of the surveillance state and manipulative corporations like Cambridge Analytica (which allegedly was a prime mover supporting the electoral surprises of Brexit in June 2016 and the Trump presidential victory in November 2016) are also empowered entities in our culture landscape which we can ill afford to ignore. Then there is the censorship threat. "The Bombs Are Still Falling" - MSNBC Urges Government Censorship Of Social Media "To Protect Democracy"
Toby Helm — Is capitalism at a crossroads? The problem with capitalism is rent extraction owing to market power resulting from effects of social, political and economic asymmetry. Neoclassical economics models capitalism (economic liberalism) in terms of perfect competition. This is not only an ideal, but also it is an unreachable ideal owing to institutional arrangements, on one hand, and asymmetry resulting from history and culture. In addition, government is inextricably bound up in the economy through both policy and the law. The basic conclusion of the article, which includes short analyses by influential figures, is that the rules are not working to produce the results for individuals and society that capitalism advertises as an economic system. Politicians that ignore this obvious fact, which the voting public is telling them loud and clear, will find themselves turned out. The problem is that the syndrome is simpler to diagnose than treat. Effective treatment requires getting the etiology correct and then applying effective remedial measures. Easier said than done when the problem is largely due to rent extraction and rent extraction results from social, political, and economic power. It is never a simple task to dislodge an elite once in power. Although it addresses specifically British issues, it is not Anglocentric. Virtually all capitalist economies are faced with this even though there are varieties of capitalism and some capitalist economies are more affected than others. Is capitalism at a crossroads? Giving the GOP establishment heartburn. Hey, they asked for it. Quite probably of course the very success of my blog, which jumped from 26000 monthly connexions to more than 200 000 monthly connexions could explain why what was thought to be “tolerable” in 2012 is no more by 2017 under Mr Macron’s rule. Censorship rears its ugly head in France under the Macron government. The ruling elites of the world getting worried? Xi said the party should better integrate the basic tenets of Marxism with the “reality of contemporary China and learn from the achievements of other civilizations to create and develop Marxism”, Xinhua said. Xi said that as a party upholding Marxism, the CPC should make sure its theories keep up with the times. Drifting away from or betraying Marxism will lead to the Party's losing its soul and direction as it moves forward, Xi added. Since China has undergone remarkable changes following its reform and opening-up, Chinese are most qualified and capable of unveiling the lessons and natural laws behind such changes and of making original contributions to the development of Marxism, Xi said. Party members should be self-conscious about and confident in the theory, focus on what they do, listen to what the people think, respond to actual needs and fully sum up the practices of socialism with Chinese characteristics, Xi said. Additionally, the Party should continue improving its capabilities in analyzing and tackling issues by using Marxism, and continue strengthening its capabilities in addressing major challenges, risks, resistance and contradictions, he said. Progressives lose at the ballot and across the culture because they consistently overestimate the intelligence and decency of the American people. Masoud Barzani has overplayed his hand – no regional powers are going to assent to partition of Iraq. More on the proposed changes to bank regulatory capital requirements here from the Peterson people. Article is anti-proposal but there is still some good confirming data there regardless. 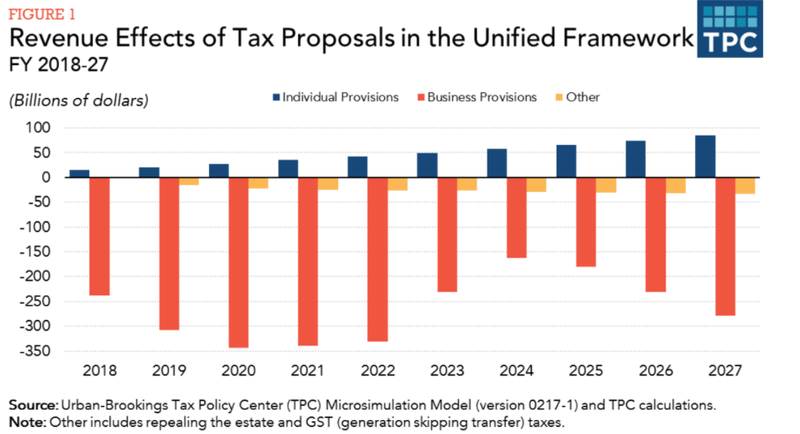 How much would the Treasury's proposed exemptions from the exposure base reduce the effective capital requirement for the US G-SIB banks? One indicator is that the Treasury considers that "Large U.S. banks hold nearly 24% of their assets in high-quality liquid assets such as cash, U.S. Treasury securities, and agency securities". More specifically, at the end of 2016 commercial banks had total assets of $16.07 trillion, of which Treasury and agency obligations amounted to $2.43 trillion and cash (including reserves at the Federal Reserve) stood at $2.21 trillion. So there are about $4.5T of risk free assets there tying up about 10% of that (assume LR run at about 0.1) as regulatory capital; or i.e. perhaps as much as $450B which would become available to the system if this regulatory reform is promulgated by the Executive Branch. Also of course no time domain analysis here in the article of how these bank assets got there in the first place and what those actions caused. Moving towards a cashless economy will end cash in hand and ensure all taxes are collected while the big corporations and the mega rich encourage governments to create even more tax loopholes for themselves. The hypocrisy is staggering: All the taxes are being shifted onto ordinary people stifling the economy while elites get the public to pay for their wars, their military machine, for the next generation of unneeded nuclear detergents, and for the infrastructure and legal system they need to keep their businesses running all the while they evade their share of the tax burden by stuffing all their money into offshore tax havens with the encouragement of politicians who they have paid for. ATHENS (Analysis)– Day by day, we’re moving towards a brave new world where every transaction is tracked, every purchase is recorded, the habits and preferences of everyone noted and analyzed. What I am describing is the “cashless society,” where plastic and electronic money are king, while banknotes and coins are abolished. This last quote is, of course, indicative of the brick-and-mortar store, at least in its familiar form. In December 2016, Amazon launched a checkout-free convenience store in Seattle—largely free of employees, but also free of cash transactions, as purchases are automatically charged to one’s Amazon account. “Progress” is therefore cast as the abolition of currency, and the elimination of even more jobs, all in the name of technological progress and the “convenience” of saving a few minutes of waiting at the checkout counter. In Greece, while oligarchs get to shift their money to offshore tax havens without repercussion and former Finance Minister Gikas Hardouvelis has been acquitted for failure to submit a declaration of assets, where major television and radio stations operate with impunity without a valid license while no new players can enter the marketplace and where ordinary households and small businesses are literally being taxed to death, police in August 2016 arrested a father of three with an unemployed spouse for selling donuts without a license and fined him 5,000 euros. In another incident, an elderly man selling roasted chestnuts in Thessaloniki was surrounded by 15 police officers and arrested for operating without a license. MMT is breaking into the big time. Stephanie Kelton | professor of public policy and economics at SUNY Stony Brook, chief economist on the U.S. Senate Budget Committee in 2015, and an economic advisor to the Bernie Sanders 2016 presidential campaign. John Harvey rates the Trump tax plan piece by piece. Gurdgiev's analysis of the Russian banking sector is of particular interest. It is sound and under the control of the central bank, which is imposing reforms that give the appearance of weakness in the sector. The opposite is true. Consolidation is taking place firmly under the state rather than oligarchs. Includes Stiglitz quote, "there is no invisible hand." Read these two posts together. Art brings up an interesting issue. Why can capitalism not survive in a no-growth world? Because that's how we set it up. If we set it up differently, it would work differently. If we designed economic policy for a no-growth world, we could live in a no-growth world. You see it in economic models all the time. We're almost there now, actually. We live in an almost-no-growth world, right? And yes, things are not very good. And even I have been calling for (or predicting, actually) better growth. However, things are not very good in our no-growth world because all our policies are designed for a world of "full speed ahead" growth. Just for the record, then, the fact that economic conditions have satisfied almost no one for the past decade is not evidence that we cannot live in a no-growth world. I can't lay it out for you today. I'm not particularly a fan of the no-growth world. I don't see it as necessary. But that's just me. Economic growth under this [presently existing] system is supported by credit use. Say we grow three percent. We need credit enough for that three percent. We don't need credit enough for the whole economy. We don't need to use credit for everything. We do use credit for everything, and that's the problem; but we don't have to. Let the Fed issue that money. If the economy grows 3%, let the Fed issue 3% more money by expanding its holdings of government debt. The system is essentially unchanged under the plan I describe, except the normal growth of Federal Debt held by Federal Reserve Banks is faster than before, and anti-inflation policy gets some help from the tax code. Remember, I'm talking about encouraging the private sector to pay down debt at an accelerated rate. This doesn't have to be a punitive plan. Shouldn't be, until we can average 4% RGDP growth for a decade. Oh, and this suppression of wages to fight inflation, that has to go. A plan similar to this, more or less, could change policy enough to make a no-growth world a pretty decent place to live. Since economics won't sell the TPP, the alternative is to make it a geo-political pact, with the main target being China. The NYT goes this route with an article that tweaks Donald Trump for his opposition to the TPP. "Faced with such an enemy, one might imagine the United States would gather allies in a concerted effort to contain China’s mercantilist ambitions. Except that Mr. Trump, in one of his earliest actions, revoked American participation in the Trans-Pacific Partnership, a pact promoted by his predecessor as a means of doing precisely that. He walked away while extracting no discernible benefits from China." Politicizing Sinophobia along with Russophobia, is not only irresponsible and craven. It is also crazy when China and Russia are the two nuclear superpowers that balance US power and contest US global hegemony aka world dominance. WTF is wrong with theses people? Have they never heard of hubris and nemesis? Mish — Bitcoin vs Dollars: Which One is a Fraud? Which One is a Ponzi Scheme? MMT Foolishness: Modern Monetary Theory (MMT) suggests that debt does not matter and governments can print at will creating a virtual utopia of constant growth. MMT, Keynesian, and Monetarism all suffer from the same fatal flaw: They promise something for nothing, in various ways. For discussion, please see Debunking MMT, Keynesianism, Monetarism: Reader asks “What theories do you believe?” Mish Reading List. Those who believe in the absurdity that a benevolent government would spend the money wisely, cancel all the debt or pay interest to itself and everyone will essentially live happily ever after, seriously needs to investigate my reading list. By the way, MMT cannot possibly be correct for a reason I have not heard anyone else state: It’s based on fraud. Mish continues to display arrogant ignorance. He is actually a pretty savvy guy in other ways. I used to read him and assumed that he would overcome his Austrian bias eventually and grok MMT. Nope. Bitcoin is real currency, USD fraudulent, you see. Mish is implying that portfolio cash saving should be switched from the USD into bitcoin as a safer haven? Just who is being foolish here? Bitcoin vs Dollars: Which One is a Fraud? Which One is a Ponzi Scheme? Link to web application written in R using Godley ratios. Lawyer and Monder Money Network director Raúl Carrillo's presentation at the MMT conference. Must-read for all interested in MMT. (1) First, I’d like to impress upon folks a theme that I’ll be stressing throughout the conference: when it comes to the economy, law is not merely a governing force (as many on the right would have economists believe) nor a reflective force (as many on the left are inclined to think). It is also a constitutive force. What I mean by that is that the law doesn’t just intervene into the economy on the back end, and it doesn’t merely reflect deeper forces in the economy either. Rather, a lot of the economic concepts we talk about not only have a particular meaning in the context of specific legal parameters, but they only exist given the deeper architecture of legal regimes, in the sense of systems design. I’m going to do my best to articulate what that means and what that looks like when it comes to consumer finance. (2) Second, I’m going to talk about how people actually experience the government’s failure to sufficiently spend money for public purpose. People don’t experience the absence of MMT-insights as policy failures in a grand sense. They experience it as personal pain. Over time, that pain can become chronic, but at first, it’s acute. For some of us, it’s devalued assets, houses, cars, etc., but most people in this country live paycheck-to-paycheck — or no-paycheck-to-no-paycheck — and thus experience the survival constraint pain on the liability side, where their debt is expounded, compounded, and sometimes straight-up fabricated. And within this group…there is what we call “disparate impact” in the legal world. As Sandy Darity, Darrick Hamilton, and other fellow travelers consistently point out, for many folks on the periphery, especially people of color who lack intergenerational wealth, the lack of MMT informed-policy means permanent austerity and perpetual depression. Modern money is a legal institution first and foremost, as chartalism, or the theory of state money, makes clear. There is no "natural money." Money-use, initially as credit, grew out of informal custom and was later was institutionalized formally in law. and The constitution and operation of this now highly formalized legal institution has vast social, political, and economic implications, especially considering that it can be captured by special interests through a political process involving asymmetric power. Of course, the way to defeat the US plan is through neutralizing the network, which is exactly what Russia and China are focused on doing. "One ring that rules them all." Due to the decision by the Sputnik editors to remove parts of my replies which I consider to be essential, I have taken the painful decision not to grant any further interviews to Sputnik. Short summary of Mike Perry's new book, which itself is a wide-ranging summary of liberal social, political and economic history, a treatment of neoliberalism, and recommendations for getting out of the box that the ruling elite has constructed to contain alternatives to the power structure. And, if you think the pillars of the U.S. mainstream media – The Washington Post, The New York Times, CNN and others – will apply some quality controls, you haven’t been paying attention for the past year or so. The MSM is just as unethical as the NGOs are. So, we are now in a phase of Russia-gate in which NGO “scholars” produce deeply biased reports and their nonsense is treated as front-page news and items for serious discussion across the MSM. Snowden hit the nail on the head. If anyone knows it is NSA and if they are not releasing evidence, they don't have it. The rest is BS, trolling, red herrings and canards. Lets examine the data on which these "studies" are based. More on Adam Smith that contradicts the mainstream view of him, from his own pen. That is the new, excellent, and detailed book by Eric Schliesser, a political scientist at Amsterdam. I would say that Schliesser is a very learned “left Smithian,” and that you should take the subtitle very very seriously. Should be aware of. Schliesser contradicts the neoclassical and Samuelson views of Smith. Important story about "Uncle Ho," especially now that Ken Burns has put Vietnam back on the table. He should have been the hero of the piece. The shot that ricocheted back. Europe hurt more than Russia. This is a fairly long post that looks at the Russian economy in some depth. Incidentally, if the US launches a trade war with China, as Bannon and the Trumpistas want, the same result is likely. China will turn its export-led industry toward domestic consumption, which it needs to do anyway. As China's growth takes off internally that will greatly accelerate China's perceived threat as China's domestic economy catches up the developed world. As in Russia, it will also strengthen the hand of the military and accelerate military development. Westerners just don't seem to get dialectics. They are categorical thinkers. Glenn Greenwald — Yet Another Major Russia Story Falls Apart. Is Skepticism Permissible Yet? Last Friday the Department of Homeland Security (DHS) dropped a "bombshell" statement that sent a "thrill up the leg" (to quote Chris Matthews) of every CNN reporter across the country. The news from DHS implied that the election systems of 21 states around the country had been hacked, or at least were close to being hacked, which set off a new wave "Russian collusion" speculation in the U.S. news media (see: DHS Notifies 21 States Of Hacker Targeting; Election Officials Blame "Russian Government Cyber Actors"). So, for folks, like WI's Elections Commission spokesman Reid Magney, who are still "trying to understand what happened"...allow us to clarify: NOTHING HAPPENED. Hillary Clinton lost an election...other than that, not much happened that hasn't happened in every election since the 1950's. Analysts have been predicting payback for Russia whupping the US in Syria? Is this part of it? The composition of the Committee to Investigate Russia disqualifies it from the job, not to mention the funding. It has propaganda machine written all over it. The name should be Committee to Demonize Russia. It's no secret that the US runs the organization BBG - Broadcasting Board of Governors - which is responsible for coordinating the international American media abroad, and in Russia. For instance, these are well-known media "Voice of America" and "Radio Liberty". Also, a new project "Present Time" has recently appeared and it is designed for a new audience in social networks. On the one hand, it's clearly controlled by BBG, but it's getting harder and harder, and in the end, every message and information mutates, and it's even integrated into a number of national media. And it turns out that the mass consciousness gets inherently fake and anti-Russian information. The echo chamber. Mirrors what the West is saying about Sputnik, RT, and social media "trolls." The difference is that the US has a long history of this going back to the Cold War, whereas the Russian reaction is recent. Bannon-backed Ray Moore defeated the Trump-backed establishment candidate in the Alabama GOP rimary for senator. Fresh from victory, Bannon now smells blood in the water. Trump is now isolated between the GOP establishment he needs to get things done in Washington and his anti-establishment base that wants the "swamp" drained, which means the establishment of both parties. US business is bound at the hip to China as a result of Chinamerica policy. Since the GOP establishment is funded by US business, this portends to be quite a battle. And China holds a pretty strong hand in the game, too. While both parties would be bruised, it is not clear who would emerge from a trade war stronger. And there are strategic considerations, too. Better make some more popcorn. The US attack will be aimed state subsidies. “Overcapacity is a big problem already and given the 2025 plan and the subsidies that it contemplates for a number of new industries, one of the worries that one has to have is that that may result in future overcapacity,” [US Commerce Secretary Wilbur Ross] was quoted by the FT as saying. A good example of this is the phrase, "the new normal." At first, economists and policy makers were surprised and perplexed when policy predictions of their models based on historical trends did not turn out. So then they dragged in the concept of "the new normal" in stead of admitting they didn't have a grip on what is actually going on. We see this recently in Janet Yellen's statement that the Fed didn't really understand inflation, like it's not doing what it is supposed to be doing. The problem with admitting uncertainly is psychological. It is upsetting. Human are very good at fooling themselves by creating conceptual constructs that secure their place in a known structure. Without this humans feel as though at sea in a storm. For the ancients this was accomplished through myth and magic. For moderns it is done through models and math. Neither approaches are capable of overcoming uncertainty. The latter does a better job, but it still leaves gaps that few are willing to admit and risk psychological upset that affects "expectations." Earlier in the week I was in Britain. Walking around the streets of Brighton, for example, was a stark reminder of how a wealthy nation can leave large numbers of people behind in terms of material well-being, opportunity and, if you study the faces of the people, hope. I am used to seeing poverty and mental illness on the streets of the US cities but in Brighton, England it very visible now as Britain has struggled under the yoke of austerity. Swathes of people living from day to day without hope under the current policy structures, damaging themselves through visible alcohol and substance abuse, cold from lack of shelter and adequate clothing, and the rest of it. And then a little diversion around the City area of London, where the overcoats the men wear cost upwards of £2,000 and the faces are full of intent. Two worlds really. I was thinking about those recent experiences when I read the latest release from the IMF (September 20, 2017) – Growth That Reaches Everyone: Facts, Factors, Tools. Their analysis continues the slow move of the IMF to acknowledging, not only the reality the world faces, but also, by implication, the massive costs that this institution has inflicted on poor people around the world. Noah Smith on Greg Mankiw and John Cochrane. Mankiw actually comes off quite well. Cochrane, not so much. I think that Noah has it right. 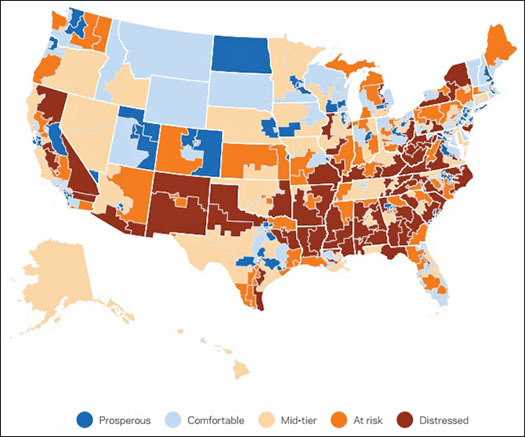 Health care is not as much an economic (positive) issue as it is a moral (normative) one. This is the ground on which it will ultimately be decided politically. Chart below showing the 10-yr UST rate over the 6 months of US govt Treasury operations under the so-called "debt ceiling!" and to present. You can see at Point A, which is the recent high in the yield, the date is March 14th which is the last day Treasury could net issue UST securities before the "debt ceiling!" was hit the next day March 15th. Then at Point B, which is the recent bottom in the yield, the date is September 8th, which is the recent day the "debt ceiling!" was again suspended until December 8th when Trump made his deal with Chuck and Nancy and f-ed Mitch and Paul. Rote textbook MMT 101: "US Treasury issuance is an interest rate maintenance operation..." or "US Treasury issuance is a reserve drain so interest rates don't collapse..."
You can see that during the 6 months at the ceiling, as US Treasury had no ability to drain new reserve assets being created via the Treasury 'extraordinary measures', the 10 year rate was collapsing and, if given a bit more time, would have eventually converged with the current policy rate supported via the IOR at 1.25%. So what we want to see now currently is a continuation in this uptrend in the rates out the curve until at least the date of December 8th at which time the current "debt ceiling!" suspension is scheduled to end. If they don't raise the debt ceiling by or at that time and instead go on another 6 months of reserve creation via the 'extraordinary measures' into 2018 we would want to see the bonds again rally and the rates out the curve start to again collapse towards the policy rate with Treasury having no ability to drain newly created reserve assets until the "ceiling!" would eventually be raised or again suspended. Of interest to Kaldorians, Post Keynesians, and modern monetary theorists (MMT). Andrew Gelman — What you value should set out how you act and that how you represent what to possibly act upon: Aesthetics -> Ethics -> Logic. Peirce is pronounced like "purse." As a sometime student of Peirce's works, I would agree with Professor Gelman's synopsis of his thought. C. S. Peirce was a fascinating thinker who combined enormous speculative range with mathematical and scientific rigor. He was a genuine "philosopher" in the Socratic sense of truth seeker. He was also careful to apply a rigorous approach to method to avoid fooling himself. For a more complete summary, see Wikipedia. and for an even more in-depth summary see the Stanford Encyclopedia of Philosophy articles, Charles Sanders Peirce and Peirce's Theory of Signs. The Charles S. Peirce site devoted to Peirce and his work. Probably the best place to start reading Peirce is with his best known articles for popular consumption, which are available there. "How to Make Our Ideas Clear." Popular Science Monthly 12 (January 1878), 286-302. Peirce called himself a "pragmaticist" to differentiate himself from the other American "pragmatists," William James and John Dewey. Pragmatism is quintessentially American, although it has other representatives. American pragmatism is important in political thought since it has been concerned with the foundations of liberalism and making liberalism workable socially, politically and economically. American pragmatism is not only speculative (theoretical) but also applied. Italy is experimenting with giving tax-cuts to its citizens in exchange for public services―such as pulling weeds and cutting grass. Wow. What an amazing idea! The government issues a tax credit, and uses it to pay a citizen in exchange for the citizen’s services to the government. The government could even make this arrangement more formal by printing the tax credits on pieces of paper called “LIRIES” (or something like that) and paying for the weed-whacking services with this “cash.” That way the citizen who’s earned the “LIRIES” has the option of using them as payment to another citizen (who’d also like a tax-cut) for, say, a bag of potatoes. First int'l conference of Modern Monetary Theory, cosponsored by the Binzagr Institute for Sustainable Prosperity, whose president is DU's Fadhel Kaboub. Denison Associate Professor of Economics Fadhel Kaboub is profoundly interested in the economics of poverty. As such, he is the president of the Binzagr Institute for Sustainable Prosperity, which co-sponsored the first international conference of Modern Monetary Theory (MMT) from Sept. 21 through 24, 2017 at the University of Missouri – Kansas City. The theme of the conference, “Economics for a New Progressive Era” highlighted the important contribution of the MMT approach to public policy. MMT describes how a financially sovereign government can afford to buy anything available for sale in its own currency. MMT provides the answer to the classic “how do we pay for it?” question that we often face when we try to address any of the major public policy issues such as unemployment, poverty, climate change, public health, education, and infrastructure. As shown over and over again when significance tests are applied, people have a tendency to read ‘not disconfirmed’ as ‘probably confirmed.’ Standard scientific methodology tells us that when there is only say a 10 % probability that pure sampling error could account for the observed difference between the data and the null hypothesis, it would be more ‘reasonable’ to conclude that we have a case of disconfirmation. Especially if we perform many independent tests of our hypothesis and they all give about the same 10 % result as our reported one, I guess most researchers would count the hypothesis as even more disconfirmed. We should never forget that the underlying parameters we use when performing significance tests are model constructions. Our p-values mean nothing if the model is wrong. And most importantly — statistical significance tests DO NOT validate models! This is one the most damning exposés of Western imperialism I've seen where the US and its allies have been caught red handed lying and installing brutal dictatorships. How they got away with it is unbelievable, but just get the compliant media to repeat the same lies often enough and it becomes reality and even the Guardian is complicit. And so we see yet again how everything we are told is in reverse where good is trounced by evil. Now the same is being done to Venezuela and you can see the same pattern being rolled out. So, the 'Good West' came in to save Haiti from the ' left dictator ' who was loved by his people who voted him in with a landslide. And then the US hired gangs of mercenaries to attack villages, police stations, and public buildings to destabilise Haiti and blame it on the left. Then the good US had to go in to remove Haiti's elected leader and rig an election to get their guy in. And afterwards the US sent in more military and the UN to 'keep the peace' and fight 'terrorism' and so they destroyed whole villages to keep the people frightened and in their place. Mothers saw then sons taken away to be never seen again. Then free trade deals were signed and cheap US government subsidised food was brought in which destroyed Haiti's small farms leaving Haitians totally dependant on food subsidies. Hilary is seen welcoming Haiti's new dictator saying how this new democracy will bring peace and prosperity to Haitian people while all the time they are cowering in their villages fearing brutal attacks from UN soldiers. This absolute blatant shear robbery of the Haitian people was completely unreported in the Western media. The violent overthrow of Haiti’s President Jean-Bertrand Aristide in 1991 and 2004 coups has ripped aside the democratic pretensions of US and the other major powers. In 1990, Haiti -the poorest nation in the Western Hemisphere- brought to power Aristide, its first elected president. In September 1991, Jean-Bertrand Aristide was deposed in a bloody military coup orchestrated by the US. He was eventually returned to power by US intervention, only to be overthrown yet again in 2004. This Press TV production is a chronicle of US destabilization campaign in Haiti and brings us up to today, 11 years on from the coup. It reveals how behind the scenes the world’s imperial powers still use cunning mechanisms to keep Haiti in their pockets and impede its national sovereignty and democracy. Zero Hedge — Hillary Compares Trump To Putin: "Hopefully He Hasn't Ordered The Killing Of Journalists"
HRC seems intent on normalizing jumping the shark. Hillary Compares Trump To Putin: "Hopefully He Hasn't Ordered The Killing Of Journalists"
A Google search on the title returns, "sorry we could not find that page"and a search at Amazon returns "did not match any products". Sure looks strange to me. This is more disturbing than the counter-narrative about Browder. A documentary about Browder was suppressed, too. See Robert Parry, A Blacklisted Film and the New Cold War at Consortium News, previously linked to at MNE. The barriers to freedom are falling all around us. Which is more liberating? Moon of Alabama trashes Russiagate and the US Russophobic propaganda campaign. There is no "there" there. Propaganda is effective, however. For example, on January 7, 2015, The Hill cited a Fairleigh Dickinson University's Public Mind poll showing that 42% of American erroneously believed that Saddam's WMD had been discovered. 19% erroneously believed that Obama was not an American citizen. It's the effect of propaganda that counts and propaganda is difficult to debunk in the minds of many when it takes hold and becomes a consensus reality for a significant voting group. This is the stuff of which wars are made. In science publishing and many areas of research, the status quo is a lexicographic decision rule in which any result is first required to have a p-value that surpasses the 0.05 threshold and only then is consideration—often scant—given to such factors as prior and related evidence, plausibility of mechanism, study design and data quality, real world costs and benefits, novelty of finding, and other factors that vary by research domain. There have been recent proposals to change the p-value threshold, but instead we recommend abandoning the null hypothesis significance testing paradigm entirely, leaving p-values as just one of many pieces of information with no privileged role in scientific publication and decision making. We argue that this radical approach is both practical and sensible. Uncritically adopting universal rules and criteria is a sign of lazy thinking and likely ideological thinking aka dogmatism as well. This move would overturn the existing scientific publishing model, it is unlikely to happen without considerable opposition. This model is key in establishing reputational credibility and advancement in the profession. Players like set rules. This is especially true in formal subjects, where training focuses on producing "the right answer" based on customary application of formal methods. The downside is group think and imposition of a consensus reality. Under a job guarantee, there would be a standing job offer at a living wage for anyone who wanted such a position. Anyone without employment in the broader economy, or unhappy with their present employment, could opt for a position in the job-guarantee program. Similarly, anyone with less hours of employment than desired could top up their hours by working part-time in the job-guarantee program. In principle, the program might be locally or centrally administered. But, irrespective of administrative details, it will be assumed that a currency-issuing government funds the program. Much is being made about the ostensibly omnipotent, omniscient, and omnipresent Russian propaganda machine. In the Western view, it decides Western elections and threatens the ‘global liberal order’. In fact, an anti-Putin media organ has published a comparison of the resources devoted to propaganda or ‘strategic communications (stratcomm) by Russian and just the US (excluding European) governments. It demonstrates that the American propaganda machine alone is approximately 3-4 times more robust than Moscow’s (https://meduza.io/en/short/2017/09/14/comparing-russian-and-american-government-propaganda). Moreover, the US stratcomm machine is growing in leaps and bounds ever since the Ukraine crisis provoked by endless NATO expansion. Just one example, is a NATO-tied American think tank, the Central European Policy Center, funded by US tax payer dollars, is like many other such institutes springing up in the US and Europe specializing in strategic communications to advance the mission of NATO expansion. For the last quarter of a century that expansion eastward to Russia’s borders has undermined Western-Russian relations and Russia’s early post-Cold War Western trajectory, alienated Russia from democracy and the free market, and ushered in the poorly labeled ‘New Cold War.’ CEPA’s stratcomm is representative of a general deficient US stratcomm deployed by a series of old and new ‘research institutes’ and media spread across the frontier between Russia and Eastern/Central Europe. Even as China and Russia strategize to build an opposing pole of power, neither is immune to these truths. Both nations still crave positive relations with the United States. However, the window of US advantage to use its leverage is also closing. Therefore, it is imperative that the United States leverage its powerful alliances and global influence so that it negotiates effectively with both China and Russia to gain access to new markets and, more important, is not left out as a major underwriter in the architecture of the new world order. Failure to do so will see the US locked out of an emerging “Eurasian Fortress”, where the fortunes and dramas shaping our future will be made. America's black and white, all or nothing, zero-sum, you are with us or you are against us approach is doomed either to failure as the US is isolated from the regions where growth will be emerging, or to fall in the Thucydides trap, threatening world war. Growth is coming from the emerging world, since the developed world is already developed. The old imperialistic colonial approach is dead and its replacement by neoliberal globalization, neo-imperialism and neocolonialism controlled by the West is moribund. The handwriting is on the wall. Well, what do you know. North Korea has a market economy. Those living in the bubbles of prosperity are largely unaware of the big picture, which is distorted by stats like per capita GDP. If only the MSM would report on this, but the MSM is owned by the elite who own the Military-Industrial complex. Once upon a time there were a few radical reporters in the MSM but now they are gone. Russia has provided evidence that Washington is collaborating with ISIS in attacks on Russian forces. In one Washington-directed attack, ISIS tried to capture 29 Russian military policemen. However, Russian special forces entered the fray, and the result was spectular losses for ISIS. In another attack Washington-directed attack, Russian General Valery Asapov and two Russian colonels were killed in an attack that violated agreements. Sooner or later it will dawn on the Russian government that Washington is not a rational government with which diplomacy can be practiced, peace pursued, and agreements reached. Sooner or later it will dawn on the Russian government that far from being rational, Washington is a criminally insane collection of psychopaths in thrall to the military/security complex which, in turn, is in thrawl to its massive profits. In other words, for the powerful interest groups that control the US government, war is a profit center. No amount of Russian diplomacy can do anything about this fact. I should write something up soon, but as a spoiler, I think the outlook for MMT is good. The new textbook (April 2018 was the projected publication date) will greatly help to build up MMT's credibility amongst those (like myself) who lack access to a research library and journal publications. Zero Hedge — Leaked Descriptions Of Infamous "Russia Ads" Derail Collusion Narrative "They Showed Support For Clinton"
Leaked Descriptions Of Infamous "Russia Ads" Derail Collusion Narrative "They Showed Support For Clinton"
The 2016 election outcome was unpredictable not only because of Donald Trump's presidential victory, but in terms where the money went. According to a new report from media tracker Borrell Associates, the final tally of political campaign ad spending in the 2016 election cycle came in lower than anticipated -- at $9.8 billion. And, while broadcast TV retained its dominance, the mass media mainstay of political advertising took a big blow from more targetable and data-driven ad options such as cable TV and digital. The premise that $100,000 to $150,000 spent on FaceBook ads exerted much of an influence at all on the presidential election is simply absurd, let alone a dominant influence. This is not reaching for straws. It is jumping the shark.